I've written about JHill Design here before, but I couldn't resist sharing the latest from the local design studio. I'm so glad they had the foresight to design this print before game seven last night. In case you've been living under a rock (or, you know, outside of North America), the Bruins won the Stanley Cup last night against the Canucks. To be honest, I have no interest in hockey, and I didn't even know the Bruins had won until I heard the celebratory car horns coming from Beacon Street last night. But I do have some serious hometown pride, which is why I love this! The print comes in three sizes, framed or unframed, and would be a great last-minute Father's Day gift. 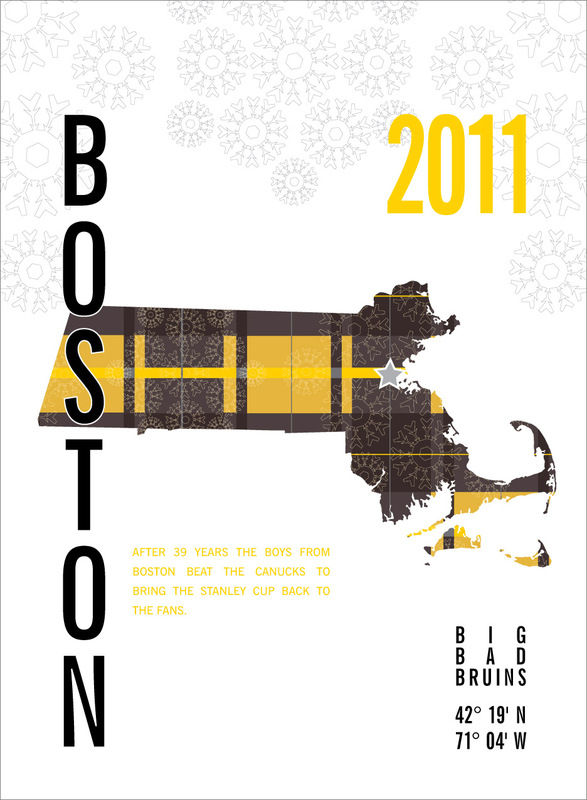 If your Dad isn't a Bruins fan, though, I'd suggest downloading this awesome card instead.